First Kentucky Securities: Kentuckians helping Kentuckians achieve their financial goals. First Kentucky Securities are industry experts offering consulting on bonds, stocks, mutual funds, retirement funds and ETFs. 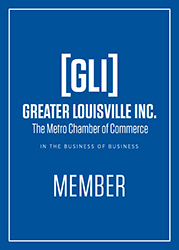 Since its inception in 1977 by Donald Bradshaw (former Kentucky Finance Secretary) and Ralph Nall, First Kentucky has been dedicated to providing the highest level of excellence to all of their clients across the Bluegrass: individuals, institutions, corporations and municipalities alike. In addition to helping individuals meet their financial goals over the past 40 years, First Kentucky has been instrumental in the legislation for many of the municipal bond issuing agencies and programs in Kentucky. Their institutional clients include local and state governments, universities, water and sewer systems, municipal bond funds, banks, insurance funds, and individual investors – and with a century of combined experience – they specialize in the process of issuing bonds for financing a City’s, County’s or Public Institution’s next project.